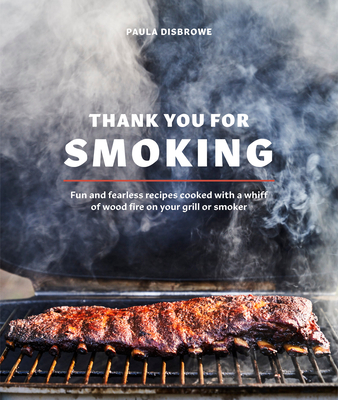 Featuring an impressive array of smoke-infused recipes that extend well beyond the realm of rib joints, Thank You for Smoking shows home cooks how easy it is to rig a gas or charcoal grill or use a backyard smoker to infuse everything you love to eat--from veggies and greens to meat and fish--with a smoky nuance. Encompassing a wide range of recipes easy enough for weeknight cooking like Ginger Garlic Chicken and San Antonio-Style Flank Steak Tacos, as well as longer smokes like Smoky Chuck Roast with Coffee and Whiskey or Holiday Ham with Red Boat Salt, this varied collection also includes ideas for smoking vegetables, grains, nuts, and seeds for the kind of fresh, plant-based dishes people want to eat right now: Smoked Farro with Wild Mushrooms and Halloumi, Swiss Chard Slab Pie with Smoked Peppercorn Crust, and Smoked Chickpeas with Spinach and Saffron Yogurt. And because firing up dinner is best enjoyed with an adult beverage, this complete guide also helps you set up your bar for modern smoke-kissed cocktails. PAULA DISBROWE writes about the endless adventure of food and travel, from vanilla plantations in French Polynesia, single malt distilleries in Scotland, olive groves in Spain, and salmon boats in Alaska. Her work has appeared in the New York Times, Bon Appétit, Coastal Living, Food & Wine, Texas Highways, and Delta Sky, among other national publications. Disbrowe has written or co-written six cookbooks, including Food52's Any Night Grilling; Cowgirl Cuisine; Crescent City Cooking with Susan Spicer; Down Home with the Neelys with Patrick and Gina Neely, a New York Times bestseller; Real Cajun with Donald Link, a James Beard Award winner for Best American Cookbook; and Down South with Donald Link, an IACP Award winner for Best American Cookbook. She lives in Austin, Texas. – Alex Guarnaschelli, author of The Home Cook and executive chef at Butter Restaurant.